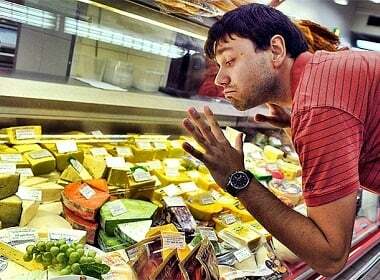 Ukrainians spend 42% of their income on food, according to government’s statistics. The percentage of income spent on food increased in the last 3 years, Finance.ua reported. In the last years, people started to buy cheaper food. Instead of fish, poultry, and meat citizens are purchasing more bread, pasta, and porridges. The share of expenses spent on purchase and service of cars dropped while the percentage of income spent on petrol went up. 80% inflation in Ukraine in 2013-2015 caused 25% drop in the level of sales of physical products. It’s possible not to buy a new car, stop going on yearly trips abroad but one cannot stop buying food. Experts believe that 42% of income spent on food may be an incorrect number and in reality the share of groceries spending is higher. Ukrainians buy a lot of food in the markets where cash sales are prevalent and not always reported correctly. In developed countries people spend on food about 10-20% of their income. Ukrainians spend on alcohol and cigarettes 13.5% of their income, which is the second group of expenses by volume after the food. Residents of European Union, for example, spend only about 5% of their income on this group of goods. Residents of Ukraine spend 10% of their income on medical services and medicine. At the present time, not many citizens have money for large purchases like furniture and appliances. A Ukrainian commentator pointed out that food was the last group where people were trying to save. “It’s possible not to buy a new car, stop going on yearly trips abroad, stop buying electronics and clothes altogether (second hand clothing shops assist), keep using what one already has, but one cannot stop buying food. 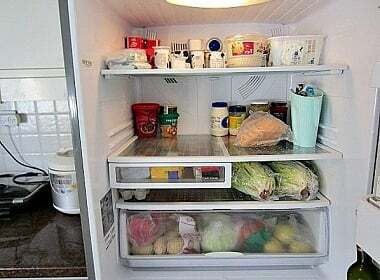 That’s why people spend most of their money on groceries,” he wrote. Noticeably, the majority of Ukrainians own their homes (apartments or houses) mortgage-free. This cuts down expenses on accommodation, leaving only electricity and water bills to be paid. These expenses can be as low as $20/month. People have many different needs, but the main one is the biological need for food. Food is the basis of human life. It gives him energy for activities. 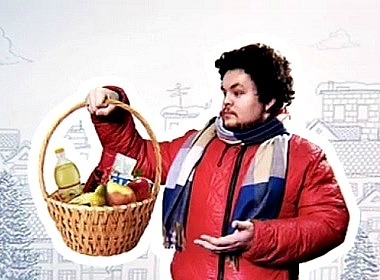 And I don’t see anything extraordinary in the fact that Ukrainians spend most of the income to buying food. So what else? Oh, of course. I think that not only Ukrainians spend a lot of money for food, but also Russians, Italians and other people. You missed the point. In western countries people spend only about 10% of their income on food. In Ukraine it’s 4 times more. It is too much. As for me I always think that people from Ukraine have better opportunities for travelling to Europe than I have living in Kemerovo. And also I should say that people in Ukraine spend much money for other things mentioned in the article. 42 percent is very much. According to Ernst Engel, the greater the proportion of the wage someone spends on food, the poorer the person is. Consumers with low income don’t spend much money on entertainment, clothes, etc. When he or she gets richer, the share spent on food decreases, even though he or she may spend more on food. This coefficient may be an indicator of the prosperity of the nation. A proportion below 30 percent means a wealthy life. Ukrainians spend that amount of money because of their salaries. I’m Ukrainian, that’s why I know well what I am talking about. There are very low wages in Ukraine however food prices grow exponentially. Particularly now that Ukraine is going through the hardest times, foodstuffs are all for residents of this country.